Thailand may be the ideal place for a vacation, getaway or honeymoon – who wouldn’t want to visit a country that combines beautiful beaches, a modern, laid-back city on top of its original, refreshing culture, and the endless supply of delicious food? Although Thailand is a relatively safe country, it is important to keep in mind that like any other tourist town, there are scammers out there. Recently, the rate of “tourist-scammers” have increased, and it is important that you take precautions prior to, and during your trip. This article will be discussing the Airport Transportation scam in Suvarnabhumi, Bangkok’s major airport and how to avoid them. What’s one easy way to scam a tourist? Some scammers dress up to look like an official, pretend to run a taxi service company or work on behalf of the airport and trick freshly-traveled tourists into thinking they are a legitimate cab company and overcharge tourists. A lot of these scammers are unregistered public transportation drivers. This is a felony according to Thai law. Under the Thai Penal Code Section 364, an offender shall be punished with imprisonment not exceeding one year or fine not exceeding 2,000 baht, or both. If the offence under Section 364 be committed: (1) by an act of violence or (2) by night, the offender shall be punished with imprisonment not exceeding five years or fine not exceeding ten thousand baht, or both. Some tourists have paid up to 1,500 Baht for a ride that should cost a mere 300-something Baht in a metered cab. In other words, they were tricked into paying multiple times what the costs should be. This is more common in the bigger major airports than the smaller ones, but keep in mind that scammers are human beings, and this can happen anywhere. After going through immigration and collecting your baggage, you will be exiting the baggage-claim area. If you wish to take a limousine instead of a cab, make sure you take one that is registered and authorized by the airport by going to an Airports of Thailand Co. Ltd., (AOT) desk which is the official limousine service company for airports in Thailand. The desk should be in the baggage claim area. The limousines come with set rates, which will be shown to you prior to your ride, and an attached GPS tracking system in your car for security reasons. If you do not wish to splurge on an airport limo, you can opt to take a cab. To ensure that you are taking a reliable cab, follow the airport signs to the public transportation area upon exiting the baggage claim. 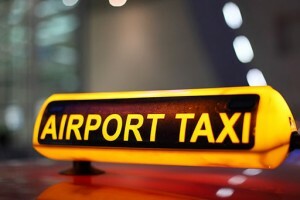 The signs should be along the lines of “Metered Taxis” or “Public Taxis” and should take you to an outdoor official taxi stand on the ground floor, that is monitored by the Airport Authorities. There will usually be a visible line of taxis and passengers. When you reach the front of your line, there will be an officer in the booth with a sign denoting that the taxis are metered. The officer will ask you where you want to go, issue you with a paper ticket and assign you to a cab. Hailing a cab from the airport comes with a 50 Baht surcharge to be paid at the final destination. Please note that this is not a scam, just a service fee for airport taxis. Although it is illegal for cab drivers to switch off their meter, some of them take that risk anyway. To make sure they turn your meter on, ask for the meter to be turned on before closing the door. That way, if the driver doesn’t turn his meter on, you can step out of the taxi and report what just happened. All meters should start at 35 Baht, and remain at 35 Baht for the first three kilometers. Then the fare should increase at around 5 Baht per kilometer for your first 12 kilometers, then increase in increments ranging from 5.50 – 8.50 Baht per kilometer thereafter, depending on the distance of the ride. If you’re stuck in non-moving traffic and your cab does not move at a speed that is faster than a 6 km/hour, the meter will automatically start charging a 1.50 Baht fare per minute. Some cabs will have a fare rate flyer attached to their seat pockets for you to reference. Also, if the taxi takes you on a toll, you will be responsible for all the fares. Toll fares typically ranges from 25 – 40 Baht, depending on your route. All taxis should have the same fare, no matter what color or model. The fares described here are set by the Department of Land Transport and should be a standard fare for all cabs. Also, before closing the door, check to see the driver’s identification, which is usually attached to the back of a front seat’s headrest or hanging near the car’s windshield. Make sure he matches his photo and note down his name and license plate number. All registered cabs and drivers are required to display this piece of information. If you don’t see any identification anywhere, it’s best to ask for another cab. Once inside the cab and on the road (with the meter on, of course), take a look at the paper ticket that the airport taxi dispatcher gave you prior to your ride. This will also have information regarding the license plate of your cab, along with departure time and drop-off destination. If you have any issues in the cab, this paper ticket will help the airport officials and police officers track down the taxi and issue them with reasonable disciplinary action, depending on their offense. The airport also possesses another copy, but it’s best to hold on to your copy anyway, just in case. If your driver doesn’t scam you, it’s okay to tip him however much (or little) you want. There is no reasonable tip for a cab, but the most common way to do this is to round up the fare to the nearest 10th, with the difference being the tip. It’s better to spend a little bit more money and reward an honest person, than get tricked into paying double (or triple) the amount for no reason. Pinnyada (Joy) Tanitnon is working as a consultant at a law firm in Thailand assisting various legal departments, ranging from litigation to immigration. She earned her B.A. in linguistics from the College of William and Mary in Williamsburg, Virginia in 2013, and plans to go to law school to get her J.D. in the near future. Prior to joining Siam Legal, Joy worked as a litigation paralegal in Los Angeles, California.